Rhythmics on top of the world! As an athlete and an artist, it’s wonderful to see my passions unite. 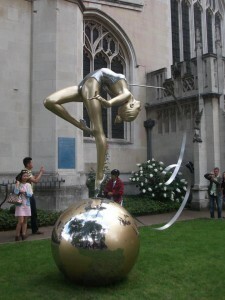 This sculpture was created by Eleanor Candozo. If you’re arriving to Heathrow Terminal 5, you’ll see the tribute she has made to Welsch gymnast Frankie Jones! 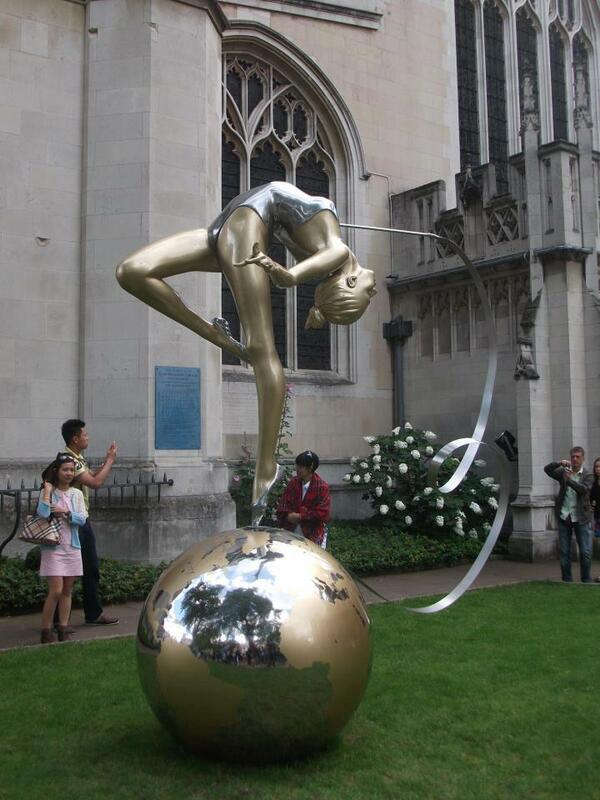 This entry was posted in Rhythmic Gymnastics and tagged Art, London 2012, Rhythmic Gymnastics, Sculpture, Sport by erika. Bookmark the permalink.